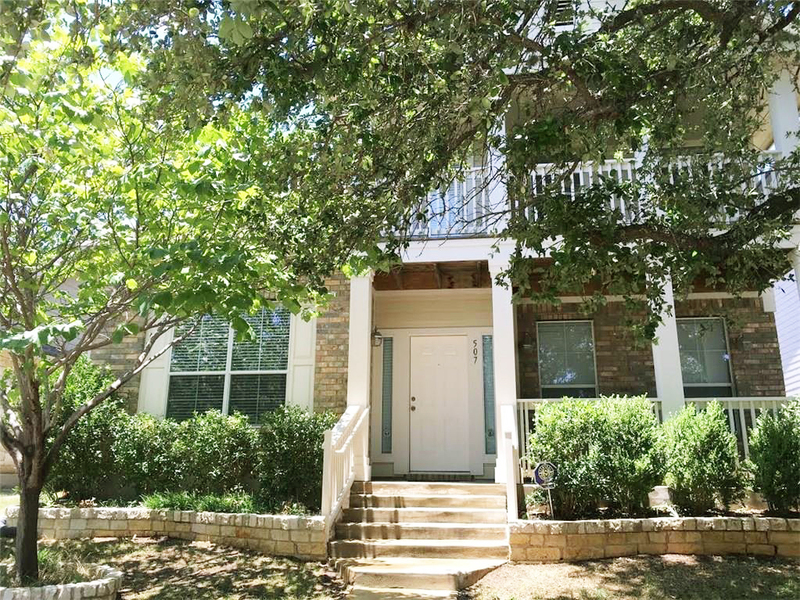 Another Home Leased by Premiere Team Real Estate - Great 3 bed 2 1/2 bath with additional office, located in Cedar Park. Large living room w/gas fireplace, opens to kitchen with granite counter tops. Wood laminate/tile downstairs, carpeting on stairway & beds, granite counters in master bath. Additional office/study downstairs, huge master with balcony, large windows, ceiling fans, updated light fixtures, garage remote controls, refrigerator provided. Backyard custom stone patio, attached 2-car garage w/auto opener, centrally located to Rec Center, Shopping, Restaurants, Medical Center, and 183A.